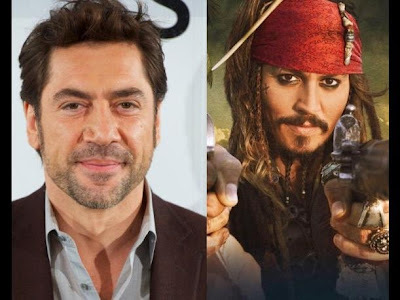 The Spanish actor Javier Bardem joined the cast of the fifth installment of the "Pirates of the Caribbean" saga starring Johnny Depp, as confirmed by Variety. Last October it was learned that the Oscar winner for "No Country for Old Men" (2007) negotiated with the Disney studio to star in this sequel in which it was speculated that he would play the main villain. There has been no official confirmation about his role; however, the film is currently in pre-production in Australia and is slated for release in theaters in July 2017. Besides Depp and Bardem, Adam Brown, Delroy Atkinson, Danny Kirrane and Brenton Thwaites were also confirmed to star in the film. "Pirates of the Caribbean 5", also called "Pirates of the Caribbean: Dead Men Tell No Tales", will be directed by the tandem of Joachim Ronning and Espen Sandberg, who made the Norwegian film of ocean adventures "Kon-Tiki "nominated for an Oscar.